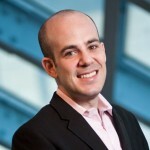 Among the world’s best-known strategic innovation, change management and online marketing consultants, Scott Steinberg heads TechSavvy Global, a management consulting and market research firm which helps clients create value and cultivate competitive advantage on the back of emerging innovations and trends. A strategic advisor to Fortune 500 firms, non-profits, schools and startups, he aids partners with identifying emerging opportunities and developing powerful leadership, marketing and content strategies around rising business, social and technology trends. Among today’s most-quoted keynote speakers and technology futurists, he’s consulted on dozens of market-leading products and services for clients such as ESPN, MTV and Intel. The author of nine books, his works include international best sellers The Crowdfunding Bible and The Modern Parent’s Guide, and the critically-acclaimed Business Expert’s Guidebook. Hailed as a top business analyst from NPR to The Wall St. Journal, he’s a been a featured expert for over 400+ outlets including Fast Company, VentureBeat, The Huffington Post and more.